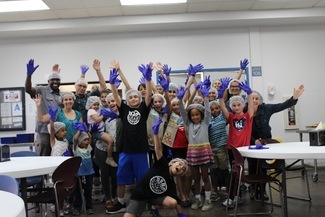 Join Kids4Community in serving dinner to homeless clients housed at Interfaith Community Health Services! During this event, volunteers will serve dinner, and be able to chat with the clients housed at Interfaith. Food can be homemade or store bought. If you bring more than needed or used for that night, the homeless shelter can still use it next day. No food is wasted, so please as much as you can. We will leave everything there. The kitchen has all the supplies to serve and prep the food, such as oven, mittens, serving dishes etc. Thank you very much for your help and support. This is one of the best ways your family can contribute to the less fortunate members of our community, and see the positive impact at the same time. Lastly, please know that your smile while serving makes as much difference (if not more), in the lives of the clients at this homeless shelter.